As John Greenlead Whittier had once quoted: ‘For all sad words of tongue and pen, the saddest are these, ‘It might have been’. There’s a lot of truth in this quotation. The story of these five cricketers proves it! Indians are emotional about one sport – cricket. They love it, they hate it, and they cry for it. This is one sport that touches their heart. A little boy playing passionately at his local park has one dream – to be a cricketer! And why not? From legendary players such as Sunil Gavaskar, Kapil Dev, Ravi Shastri and the modern age stars including Sachin Tendulkar, MS Dhoni and Virat Kohli are worshipped and looked upon as gods. Wearing the much sought after Indian Jersey is one dream every talented cricket lover has. But how many of them get the honor of sporting one despite immense talent to support? Here, we will not recall the saga of players who managed to get the deserved attention and respect from fans across the globe. This is about the ones who, despite everything they made at the national level, failed to get the taste of international competition. Remember the infamous 661-run partnership between Kambli and Tendulkar? Most cricket lovers would definitely remember it. Mazumdar silently waited on the sidelines during the Harris Shield trophy. Regrettably, his entire career ended like that! This talented guy earned a world record knock of 260 on first-class debut! Despite this incredible performance, he never got a chance to play for India during his two decade career. He finally retired from first-class cricket with 30 centuries (11,167 runs from 171 matches) to his credit. He was a victim of bad timing. Manhas was and all-rounder came into the forefront towards the turn of the century. This was the time, India was overflowing with talent. And this was precisely the reason; he got a serious look from cricket fans. 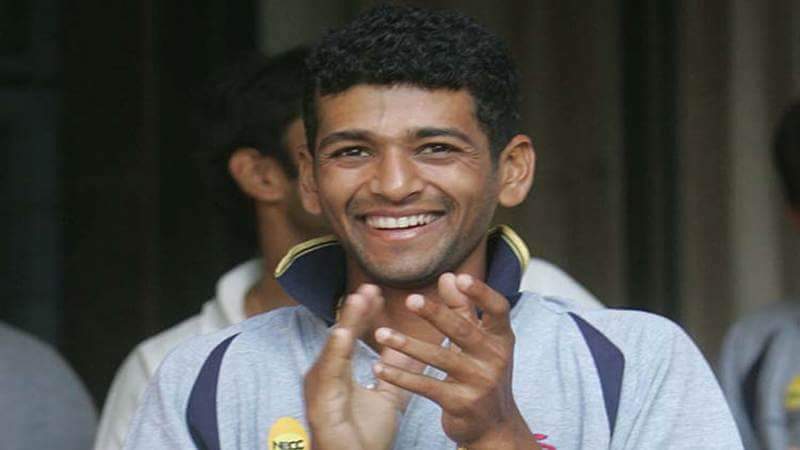 Manhas was He was a crucial figure during Delhi’s struggle towards the Ranji title (2007-08 season). He scored 598 runs. Manhas also has 9714 runs to his credit in 157 first-class matches. This talented off-break bowler also keeps wickets. He has played in the IPL for Pune Warriors, Chennai Superkings, and Delhi Daredevils. What went wrong with this immensely talented spinner? Well, his career overlapped with those of Bishen Singh Bedi, Bhagwat Chandrasekhar, and Erapalli Prasanna. Once, Sunil Gavaskar once addressed him as the ‘toughest bowler’ he has ever faced. He also referred his skills to as “better than Bedi”. This gifted spinner finished off as the highest wicket-taker in Ranji history in his 27-season career with 637 wickets. He also managed to finish with 25 Ranji wickets in a season 15 times. However, he still couldn’t get a chance to play for India. During 1964-65, he played one unofficial Test against Ceylon (the present day Sri Lanka). For the latest and interesting cricket news, visit www.sportscrunch.in/cricket/. This talented player seemed to have a very promising career ahead of him. He started off with first innings hit of 143 followed by 83 in the second innings during the Irani Trophy 2001. This is where he won a place in the Test squad for the South Africa tour. In another successful attempt, he opened in a ‘Test match’ at the Centurion. However, the lady luck had no plans to smile upon him. Due to the ‘Mike Denness controversy’, the match was stripped of its official status. And that was the only match Williams ever played. Call it his bad luck; it’s not even in the official records. After scoring 7942 runs (124 games), Williams retired from first-class cricket in 2011-12. Kaypee ended his career in the year 2000 after 109 games. That year, he finished as the highest run-getter in the Ranji Trophy where he scored 7623 runs at an average of 54.06 which included 27 centuries (nothing less than great for a cricketer). But as luck would have it, none of these historic scores could get him an India shirt. Safikul Islam is a professional Software Engineer with vast experience in research and development field. Presently, He Works for eLiveStory. He also has a strong passion for writing creative blogs and articles about fashion, new technology,Jewelry and following the latest trends in these areas. How Can a Caribbean Medical School Help You Out in Your career? How To Take Care Of A Golf Club?